On weekdays the daily routine starts with wake up in the morning by the the matrons. Everyone must check they have everything ready for the school day and that the dormitories are tidy. Girls’ beds are checked before they can go downstairs and, when they are dressed and ready, the matron will send them down to breakfast. 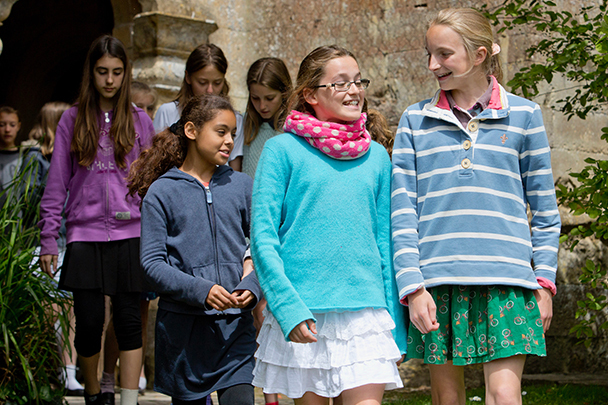 After breakfast the girls will go to Chapel and then straight off to lessons afterwards. There are five lessons in the morning with a break in the middle, during which there is the opportunity for a drink and a snack. Lunch is at 1pm and it is served in the Hall. The Headmaster, matrons, Mrs J and Miss Morrey will be there to serve and supervise lunch. Girls will sit on a different table every week which gives them the chance to meet new people and spend some time with girls in different years. Each week some girls are nominated to be helpers who clear away the plates and wipe the tables. After lunch girls get changed for games and come down to rest in the library where they have the chance to read a book. Rest is followed by sport, with riding for some girls and for others free play. In the winter after sport they get changed and ready for two more lessons while in the summer lessons are straight after lunch. 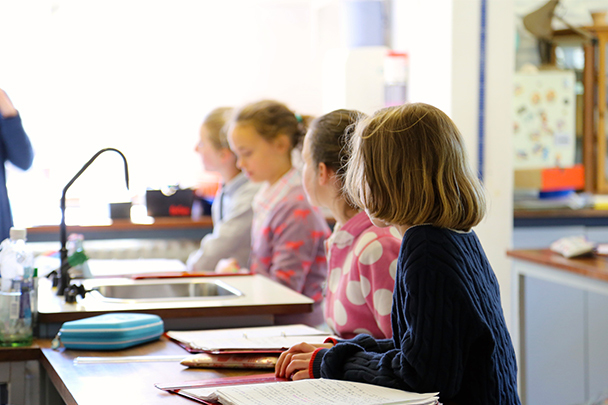 At the end of the school day there are set supper, activity and prep times for different age groups but there is also time to relax, play games, make phone calls, Skype etc. Everyone has a set bedtime and must be in bed and quiet fifteen minutes before lights are due to be turned off – this is an excellent time to settle down and read a book, knit or write a letter. After lights out everyone must be quiet in the dorm and settle down to sleep. It is important that they learn to show consideration for those around them at this time. We have normal lessons on a Saturday morning so the girls are woken up as usual to get ready and come down for breakfast before timetabled lessons. Break and lunch are also at the usual time. There are often matches on a Saturday afternoon; sometimes these take place at Hanford but we also travel to play at other schools. There are always activities planned for the weekends; sometimes these include trips away from school. These could be trips to the beach during the Summer Term or visits to the theatre, museums or the cinema. At Christmas, we often take the younger girls to one of the local Christmas markets. A list of trips can be found in the school calendar. Of course there are also activities that run in school, including the Hanford Hullabaloo, Big Prize Bingo, tree climbing, cake making and camping. The girls have plenty of free time to play their own games and spend time with their friends.